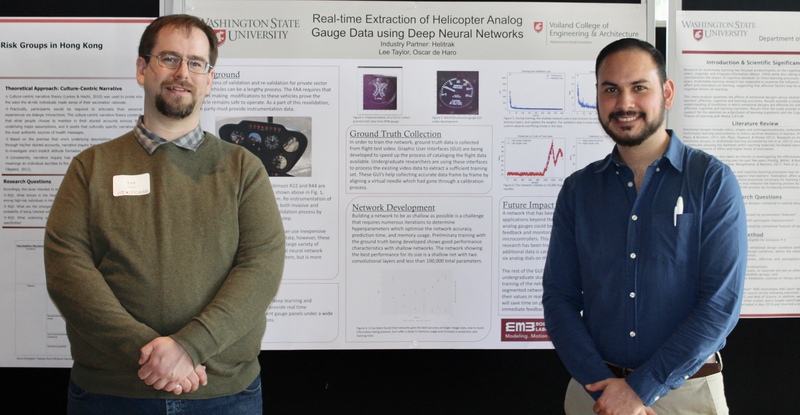 M3 robotics lab participated in annual 2019 Research Expo held by Washington State University. 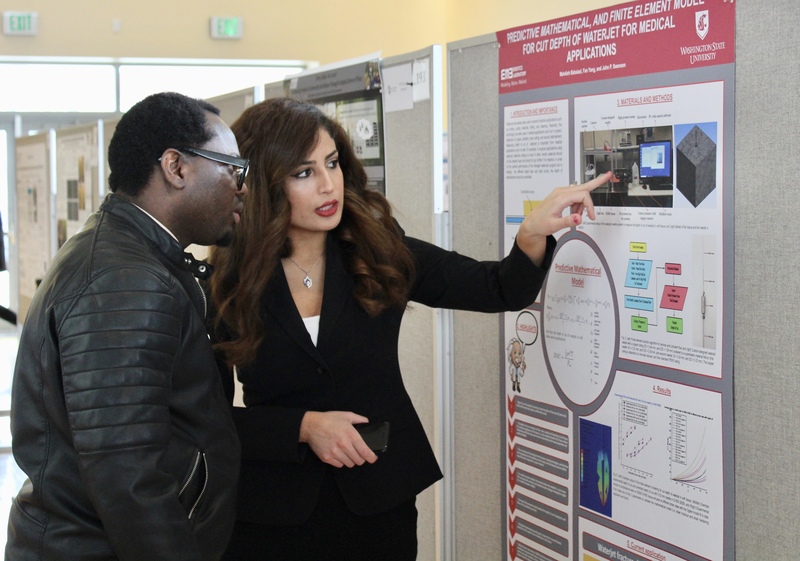 At this Expo Researchers present their research to the general public and researchers from different disciplines. M3 robotic lab members Emily Allen, and Lee Taylor, two Mechanical Engineering Students, have developed learning modules to introduce students of all ages to topics of design, fabrication, and evaluation of soft and tunably compliant robotics. 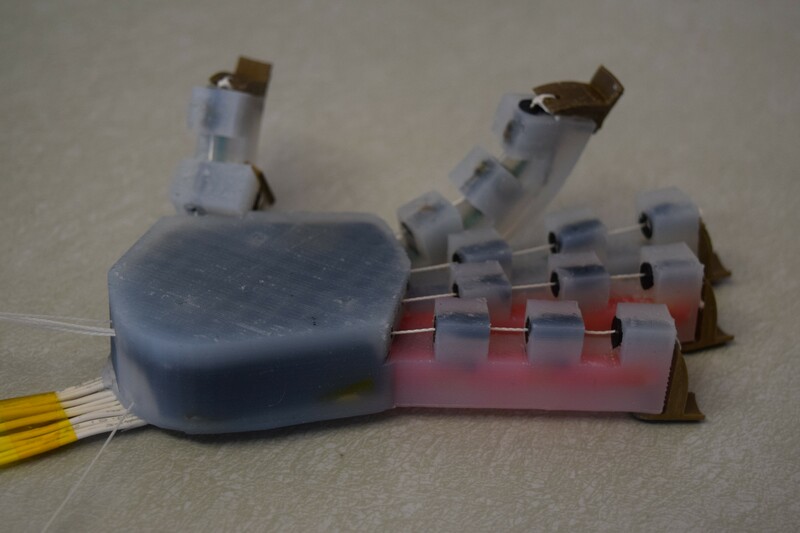 Preliminary design of soft robotic hand featuring multiple smart materials and tendon driven actuation for learning module is shown below. We are now at a place that proved that this new idea in steerable needles works. 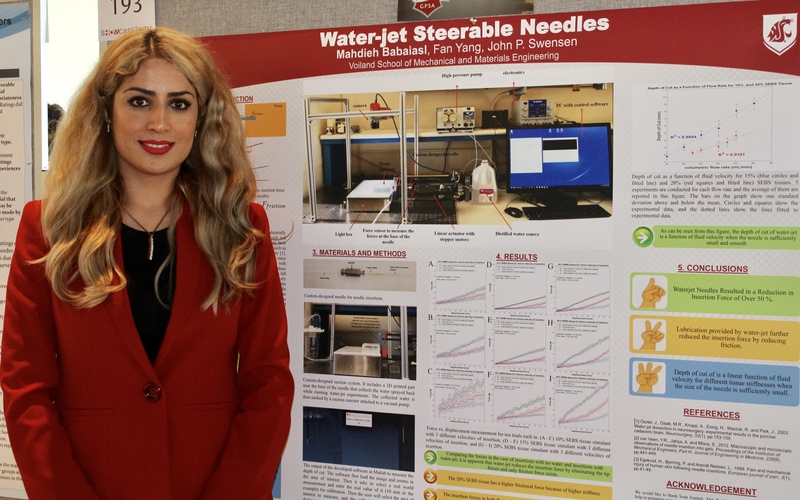 The first paper on the new area of waterjet steerable needles is going to be published soon. The paper will be presented as oral presentation in IEEE International Conference on Biomedical Robotics and Biomechatronics (BioRob 2018) on Aug. 2018 in Netherlands. Water-jet technology has been used extensively for decades industrially for many applications including mining, plastic, metal, stone, wood, and produce cutting. The use of water-jet in medical applications has been developed more recently and it is used for different applications such as soft tissue resection, bone cutting, wound debridement, and surgery. 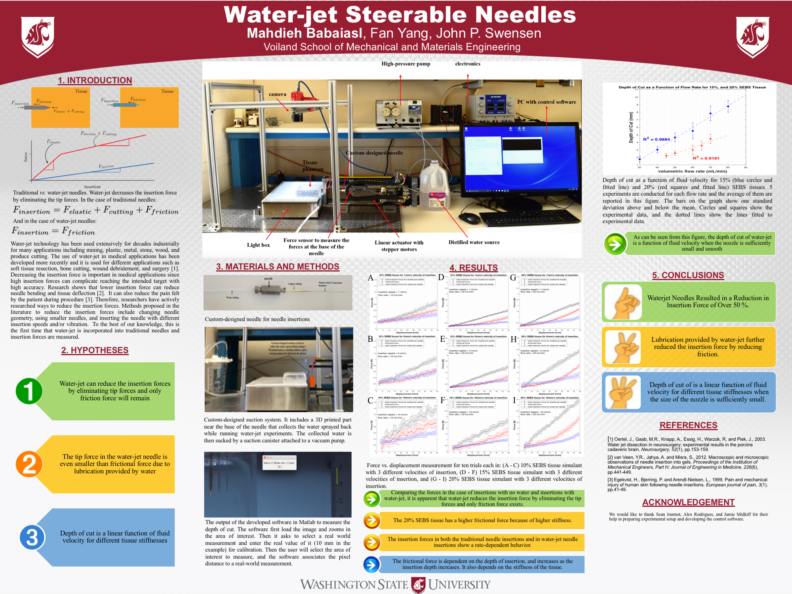 In this paper, a new application of water-jet technology in the medical field is proposed, namely water-jet cutting at the tip of a needle with a long-term goal of steerable needles. 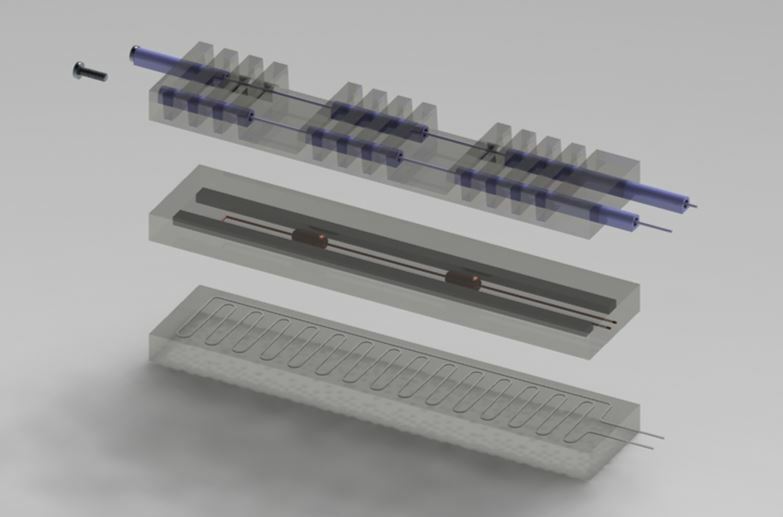 A needle insertion system is designed and built, which has a custom- designed water-jet nozzle attached to a Nitinol needle as its ”needle”. 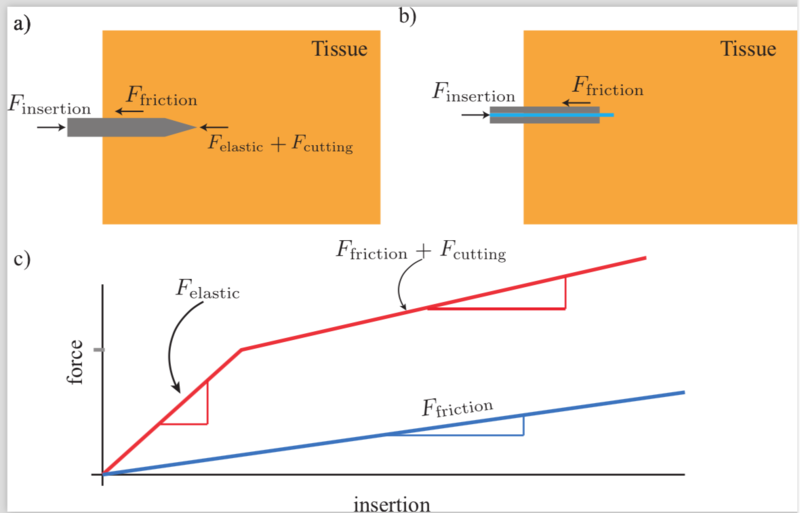 Insertions with and without water-jet into 10%, 15% and 20% SEBS tissue-mimicking simulants are performed and the associated force data is measured using a force sensor at the base of the needle. 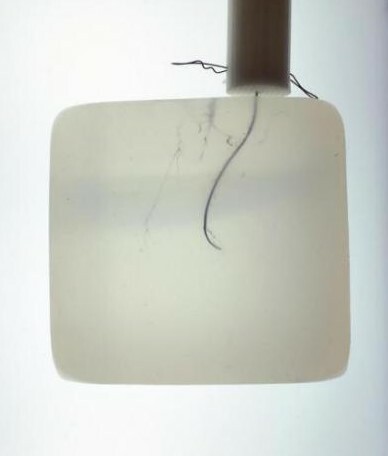 The results of force vs. displacement show that the water-jet reduces the insertion force associated with traditional needles by eliminating tip forces. 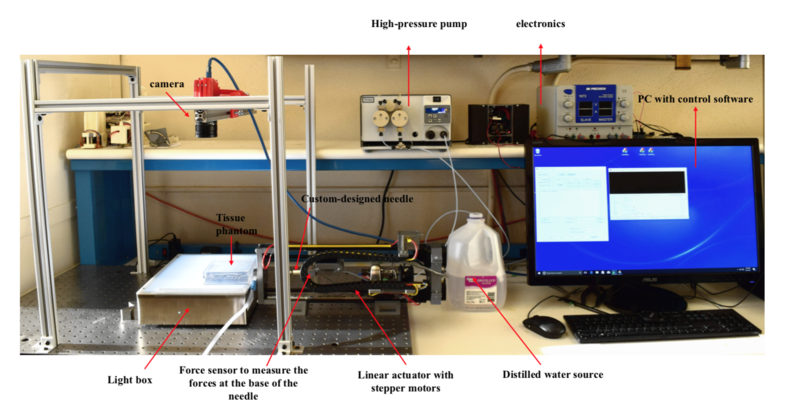 In this paper, a custom-designed straight nozzle is used to show the feasibility of water-jet steerable needles, whereas future work will focus on steerability using steerable nozzles. Depth of cut as a function of fluid velocity is also measured for different volumetric flow rates. 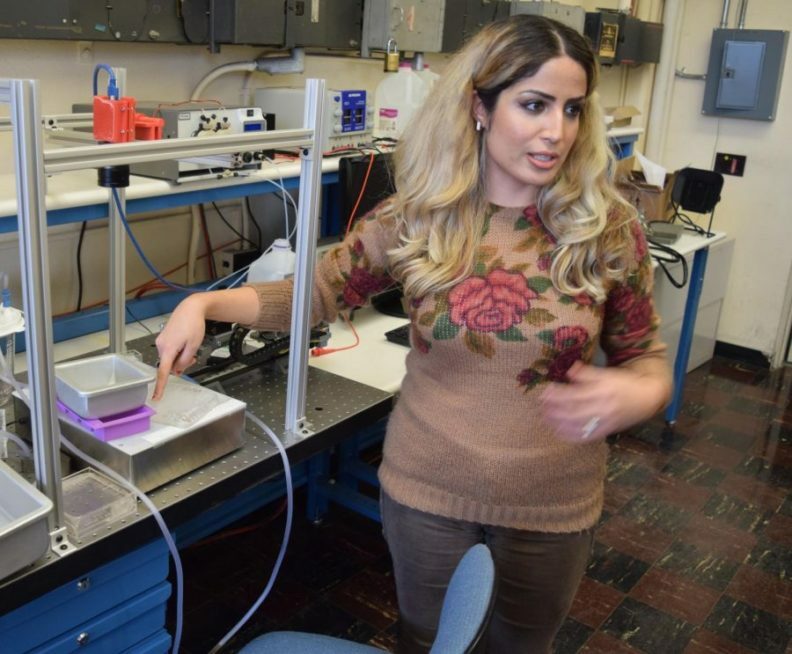 The results show that depth of cut is a linear function of fluid velocity when the width of the water-jet nozzle is sufficiently small and smooth. 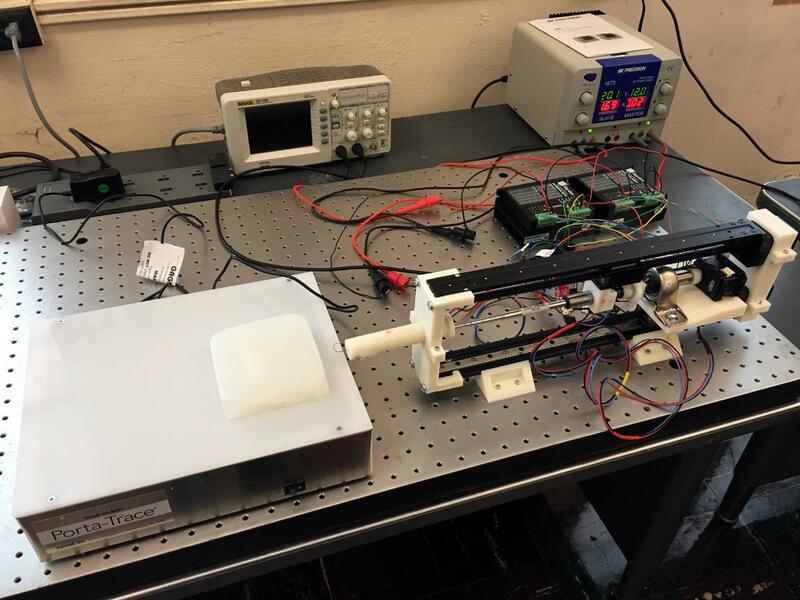 A new paper from our lab research team entitled “Fracture-Directed Steerable Needles” is published in Journal of Medical Robotics Research. Steerable needles hold the promise of improving the accuracy of both therapies and biopsies as they are able to steer to a target location around obstructions, correct for disturbances, and account for movement of internal organs. However, their ability to make late-insertion corrections has always been limited by the lower bound on the attainable radius of curvature. This paper presents a new class of steerable needle insertion where the objective is to first control the direction of tissue fracture with an inner stylet and later follow with the hollow needle. This method is shown to be able to achieve radius of curvature as low as 6.9mm across a range of tissue stiffnesses and the radius of curvature is controllable from the lower bound up to a near infinite radius of curvature based on the stylet/needle step size. The approach of “fracture-directed” steerable needles indicates the promise of the technique for providing a tissue-agnostic method of achieving high steerability that can account for variability in tissues during a typical procedure and achieve radii of curvature unattainable through current bevel-tipped techniques. A variety of inner stylet geometries are investigated using tissue phantoms with multiple stiffnesses and discrete-step kinematic models of motion are derived heuristically from the experiments. The key finding presented is that it is the geometry of the stylet and the tuning of the bending stiffnesses of both the stylet and the tube, relative to the stiffness of the tissue, that allow for such small radius of curvature even in very soft tissues. 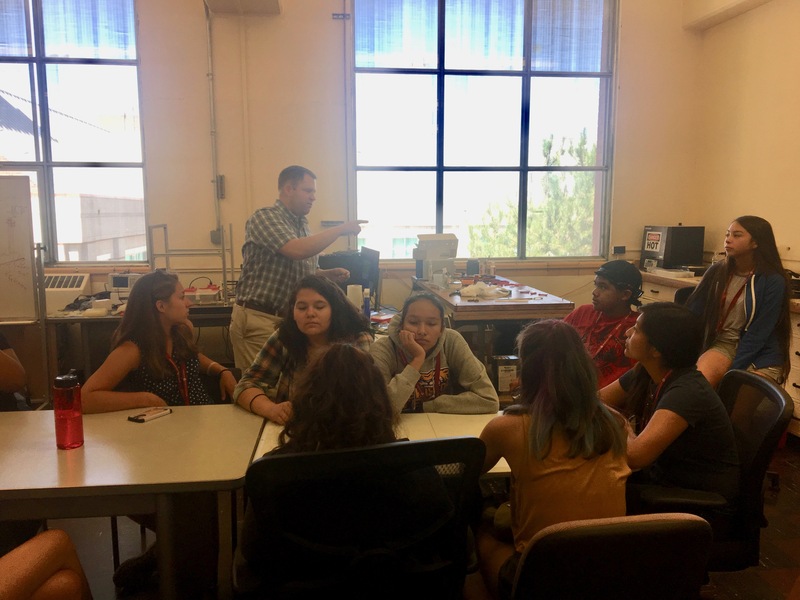 On Jan., 2018, The Daily Evergreen, WSU newspaper, interviewed m3 robotics lab team members on the ongoing research in our lab. 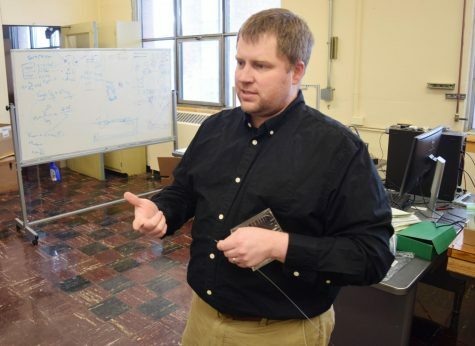 Prof. Swesnen talked about a new approach using waterjet, allowing to direct the needle exactly where it wants to go. This method also eliminates resistance, making it easier to press the needle in further. Prof. Swensen also added that our lab is at a point where we’ve proved water-jet steerable needles work. He also talked about other ongoing research in our lab namely fracture-directed steerable needles, and tunably compliant materials. The complete interview can be found at here. On Wednesday morning, M3 robotics lab was host to visiting high school students. 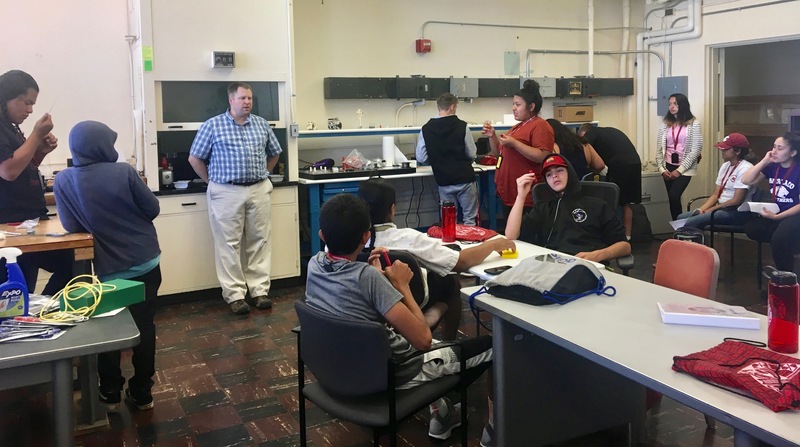 The aim of this visit was to grab the attention of the kids to areas such as Engineering and Robotics ad encourage them to think about engineering as their future majors and later as careers. Professor Swensen started off with asking who is actually interested in robotics to see how many of them will change their minds at the end of the day. 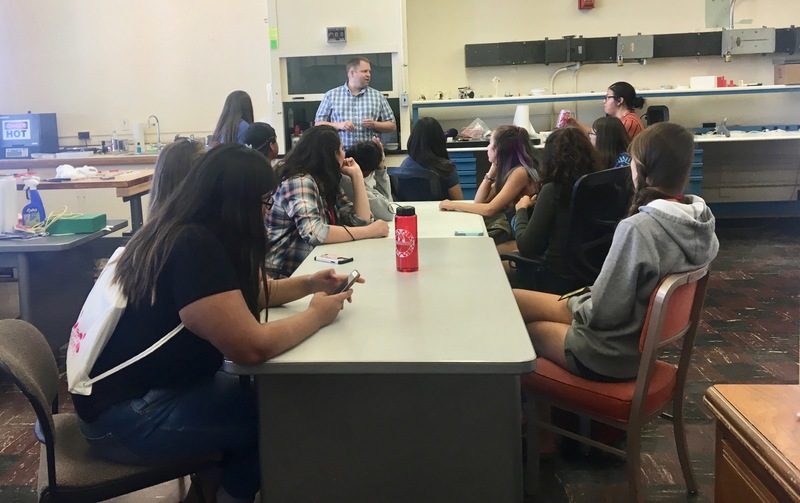 He continues with an introduction to robotics and grabbed the attention of the kids with introducing movies such as I-Robot and then mentioned some of the real-life robots such as Darpa robot. He continues by mentioning human-robot interaction and why is it important to incorporate safety in robots because the robots will interact with human beings. Another topic that was brought up in the introduction was the aging society and how it puts burden on people in terms of taking care of senior citizens. 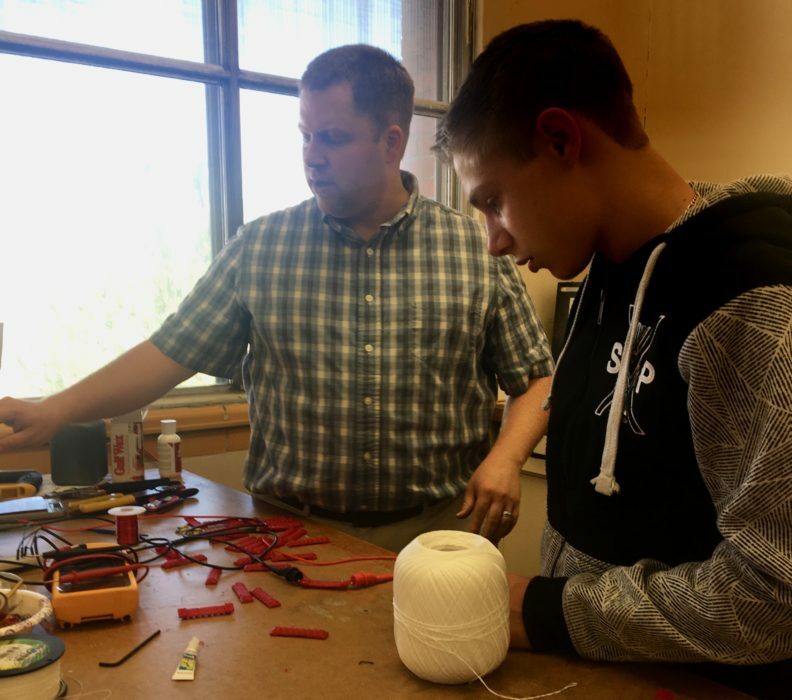 He brought of the notion of assistive robotics that can help this aging population. 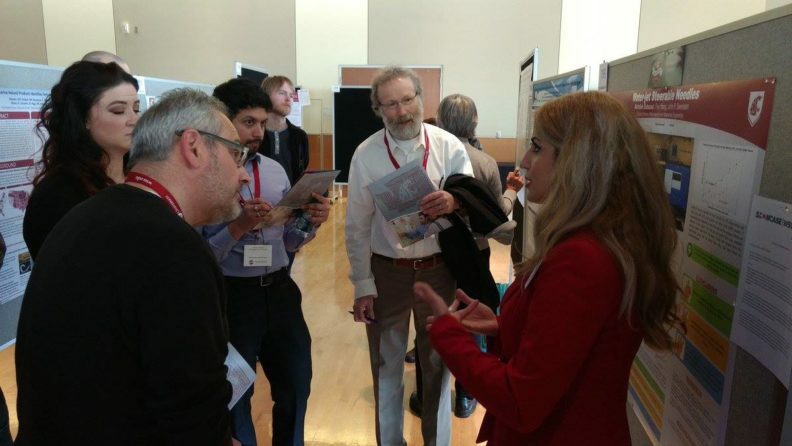 The second part of the visit was the introduction of the research that was going on in the lab. 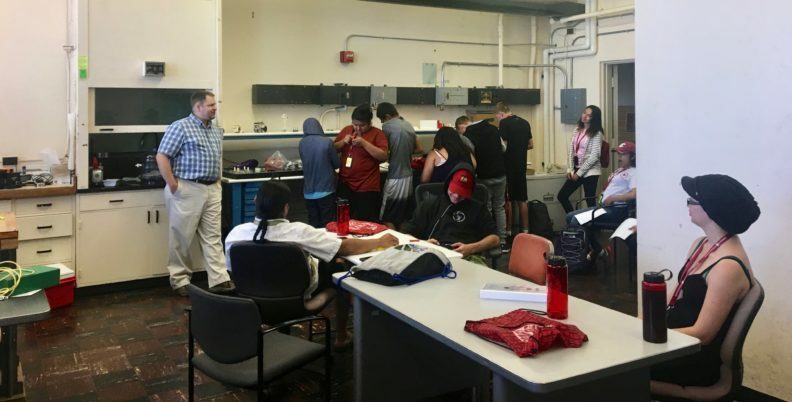 The kids became acquainted with steerable needles and soft robotics. They also became acquainted with two notions of “plastic” and “elastic” and at the end of the visit they could distinguish the difference between the two. 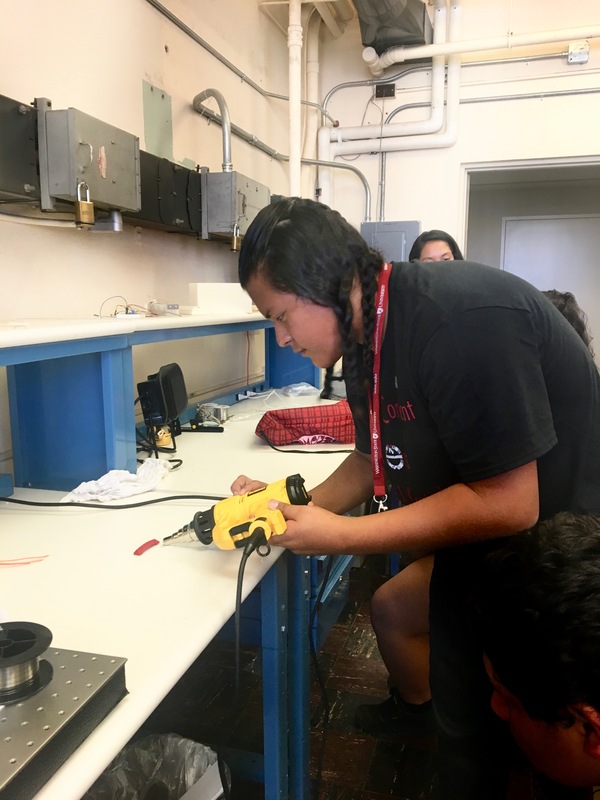 They observed a tendon mimicking robot that bends when heated and the students experienced its function with their own fingers. the kids also became acquainted with Nitinol needles and that they are made out of Nickel and Titanium. 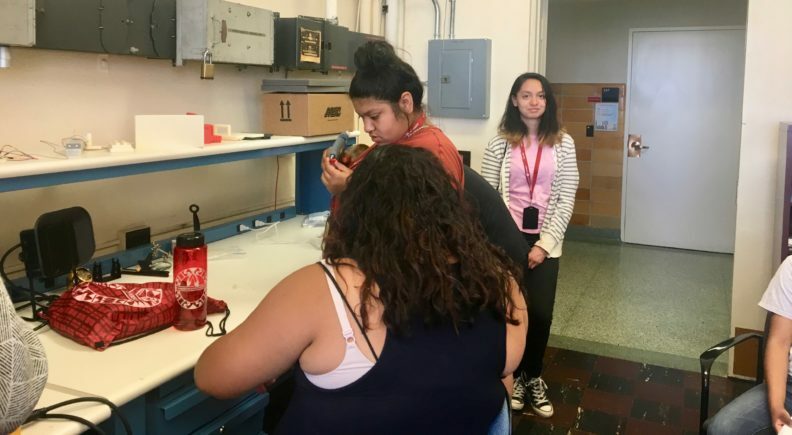 The last part of the visit was working on an inchworm robot that was printed in 3D printer and the kids put a metal on it and heated it either using a hot tool or moving electrical current through the metal part. The heat made the worm bend and when there was no heat the worm was back to its original shape causing it to move. At this part, they were really engaged in the process and was absorbed in making the inchworm work. Heon’s paper entitled “Design and experimentation of a tunably-compliant robotic finger using low melting point metals” is accepted at the ASME 2016 Conference on Smart Materials, Adaptive Structures and Intelligent Systems (SMASIS 2016) held on September 28-30, 2016, Stowe, VT, USA. 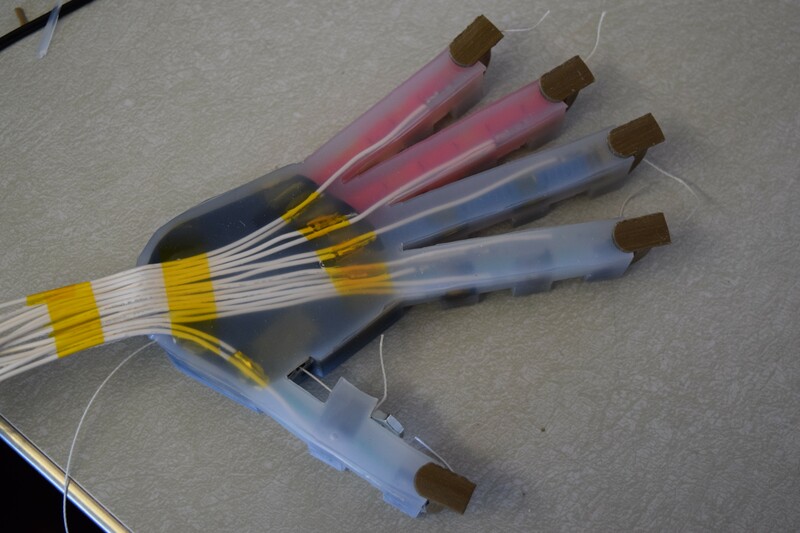 Hi paper is about fabrication and testing of a tunably-compliant tendon-driven finger implemented through the geometric design of a skeleton made of the low-melting point Field’s metal encased in a silicone rubber. The initial prototype consists of a skeleton comprised of two rods of the metal, with heating elements in thermal contact with the metal at various points along its length, embedded in an elastomer. The inputs to the systems are both the force exerted on the tendon to bend the finger and the heat introduced to liquefy the metal locally or globally along the length of the finger. Selective localized heating allows multiple joints to be created along the length of the finger. Fabrication of the project was accomplished via a multiple step process of elastomer casting and liquid metal casting. 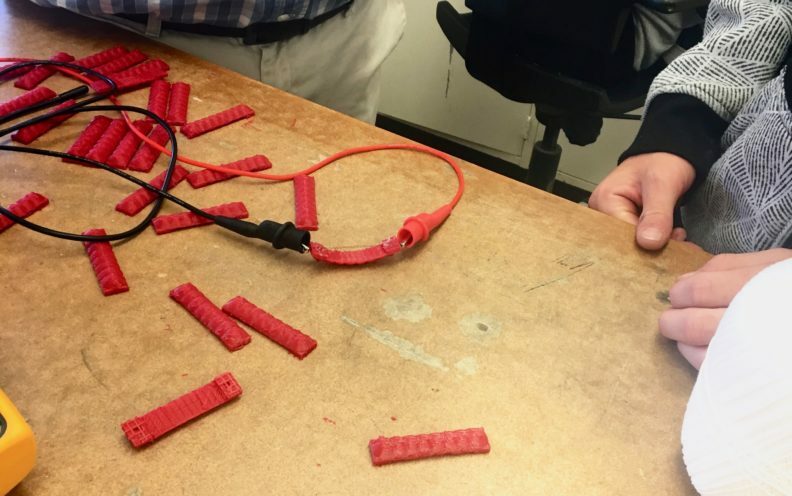 Heating elements such as power resistors or Ni-Cr wire with electric connections were added as an intermediate step before the final elastomer casting. The addition of a tradition tendon actuation was inserted after all casting steps had been completed. 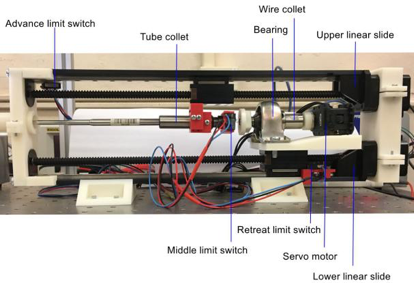 While preliminary, this combination of selective heating and engineered geometry of the low-melting point skeletal structure will allow for further investigation into the skeletal geometry and its effects on local and global changes in device stiffness. New journal paper is going to be published soon. 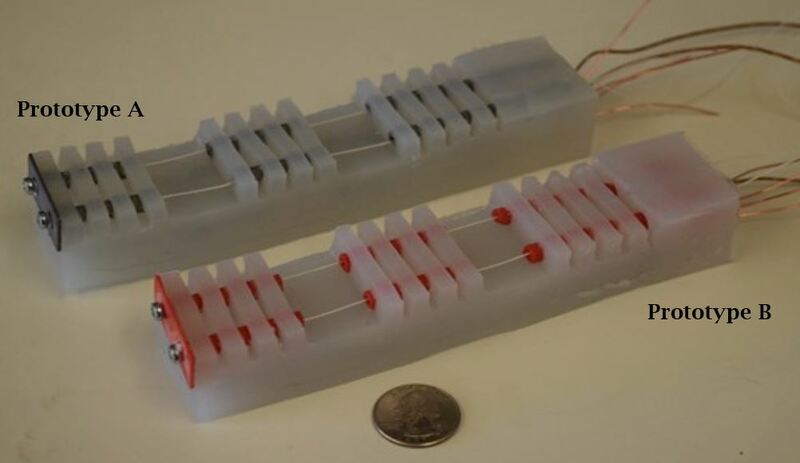 A journal paper is going to be published, it presents a new needle insertion system which consist of preshaped nitinol needles and tubes. Also, it will introduce a method about how to control the insertion curvature inside tissue.